Malindo is a Low Budget Airline. 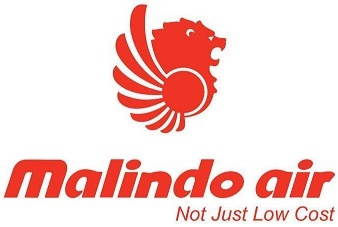 Malindo Air is an airline based in Malaysia, headquartered in Petaling Jaya. It is a joint venture between National Aerospace and Defence Industries (NADI) (51%) of Malaysia and Lion Air of Indonesia (49%). 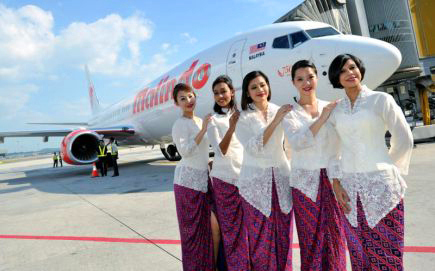 The name "Malindo" is derived from the names of respective countries: Malaysia and Indonesia. Malindo Air initially planned to start operation on 1 May 2013 from the new KLIA2 terminal. However, Malindo Air brought forward the launch date to mid-March 2013 with domestic destinations. The airline offers only economy class and business class seats. For its jet routes, Malindo Air provides a personal TV (in-flight entertainment system) in every seat, light snacks and free meal, seat pitches of 32" and 45" for economy class and business class respectively, and free baggage allowances of 20 kg & 30 kg. Furthermore, wifi service will be available from June onwards. The airline also has expanded on a parallel turboprop service, focusing mainly secondary routes within 2-hour radius from Sultan Abdul Aziz Shah Airport. Pioneer destinations include Penang, Johor Bahru and Kota Bahru. Guests travelling onboard Malindo Air�s Boeing 737-900ER from KLIA will enjoy extra legroom at no additional cost as all seats in economy have a seat pitch of 32�. 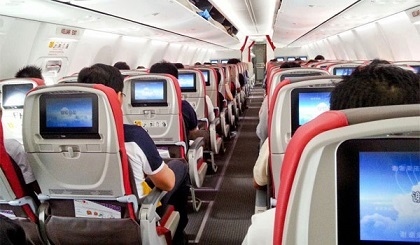 All seats in economy class are also fitted with In Flight Entertainment system (IFE) that offer guest the latest Asian and Hollywood movie blockbusters, TV Programmes and interactive games to choose from at no additional charge. Business Class passengers enjoy a seat pitch of 45� between them and each seats fitted with personal 13-inch screen stowed away under their seat rest and complimentary baggage allowance of up to 30kg and a full meal service with every business class ticket purchased.